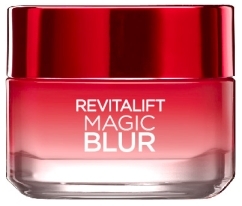 L’Oréal is launching in February 2014 a new range under its Revitalift range : Revitalift Magic BLUR, named Revitalift Miracle BLUR in the US. This is a straight forward range under the Revitalift brand : the benefit is clear and one : blurring lines. And it is built in this direction, with the right technologies to reach the claimed efficiency : several natures of powders. To make the Cream efficiency in a longer term, compared to the Specific Care, it contains the transversal anti-aging / anti-wrinkle ingredients of the Revitalift Range. 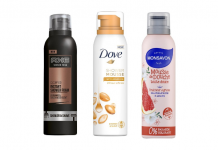 This new range is made of two formulas : a Day Cream and a Specific Care. Its concept is rather simple, and in the current trend of “photoshop” creams : instant effect on skin. The day cream claims an instant smoothing effect on wrinkles, associated to an anti-aging action after 1 month on wrinkles, skin firmness and dull complexion. The Finishing Care only focuses on instant blur of wrinkles. The technology behind these formulas has been trademarked as “Opti-Blur”, said to diffuse light to reduce skin irregularities. Diffusion of light, or more scientifically “diffuse reflection”, is defined as the reflection of light from a surface such that an incident ray is reflected at many angles rather than at just one angle. On a flat surface, the light rays coming on the surface (“incident light”) are reflected in the same direction, as illustrated on below picture. This type of surface is looking very shiny. Typical example is a mirror. On an irregular surface, parallel incident rays of light are reflected in several directions, and consequently reflected rays are no more parallel (see illustration below). This is called a “diffused reflection”. The surface looks mat. An example of such a surface is a frosted glass : the surface of the glass is not polished, with a lot of irregularities that prevent parallel reflections of light rays. Now back to skin, what happens ? Skin is a naturally shiny surface, covered with naturally lubricating and shiny substances : sebum and sweat. When light interacts with “naked” skin, due to this thin film of oil and water, it is reflected as if directed on a flat surface (see illustration below). Skin appears consequently shiny, makes its irregularities (wrinkles, spots) very visible. To make wrinkles, spots less visible, and more generally skin more visually homogenous, Revitalift Magic BLUR, and all blurring formulas currently appearing on the market, “blurs” skin by adding micro-irregularities on is surface to reflect rays of light in several directions. These formulas leaves on skin micro-particles of several natures and sizes to modify the way light reacts with its surface, as illustrated hereafter. Emulsion O/W, emulsified with Croda Arlacel 165 (PEG-100 Stearate / Glyceryl Stearate) as main surfactant, helped with Polysorbate 60, and Stearic Acid / Palmitic Acid / Cetyl Alcohol as co-emulsifiers. The formula is thickened and stabilizied with Clariant Hostacerin AMPS (Ammonium Polyacryldimethyltauramide / Ammonium Polyacryloyldimethyl Taurate). The oil phase of the formula is made of Dimethicone (and) Dimethicone Crosspolymer, that could be Dow Corning 9041 Silicone Elastomer Blend, Octyldodecanol and Hydrogenated Polyisobutene. The aqueous phase contains Glycerin and Denaturated Alcohol. – Boron Nitride : it is a synthetic material, used in cosmetic in its hexagonal crystallin form, and forming thin platelets. This physical aspect makes it soft and lubricant. The main properties of Boron Nitride in formula are lubrication, ease of spreading, good coverage, velvety and silky touch. – Perlite : natural mineral additive made from a volcanic glass, and has some absorbing and mattifying properties. It is claimed by Garnier (owned by L’Oreal) as being an extract of volcanic glass, able to absorb up to 2.5 times its weight in oil or water. – Glycine Soja Protein / Soybean Protein : could be BASF Vegeseryl. This ingredient is claimed by BASFto be an anti-wrinkle and smoothing agent. 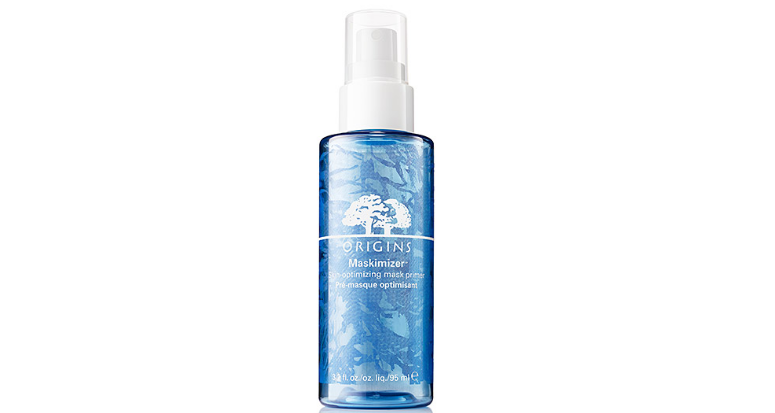 It acts as a tensing agent to tighten skin. – Hydrolyzed Soy Protein : could be BASF Phytokine, a soy extract modified by biotechnology claimed to rebuild the dermis. Said to cause an efficient activation of collagen and glycosaminoglycans synthesis, Phytokine is claimed to effectively correct skin relaxing and restore the in depth water reservoir of the skin. – Capryloyl Salicylic Acid : this ingredient, also called “LHA” = “Lipo Hydroxy Acid”, is patented by L’Oréal. It is a derivative of Salicylic Acid, with a lipophilic branch grafted, which make the Salicylic Acid more lipophlic. It is, among other properties, a keratolytic agent. – Acetyl Trifluoromethylphenyl Valylglycine : this ingredient is also patented by L’Oréal, is claimed in the patent to be useful for treating body or face skin ageing, and in particular skin ageing caused by decrease of skin elasticity and/or by collagen degradation in the structure of tissues. 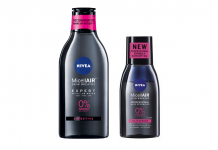 The formula is protected against micro-organism with Potassium Sorbate / Sodium Benzoate / Phenoxyethanol / Alcohol Denat. Anhydrous base built on a blend of silicone (Dimethicone (and) Dimethicone Crosspolymer, could be Dow Corning® 9041 Silicone Elastomer Blend) mixed with a very light alcane oil (Isododecane) and pigments (Iron Oxides and Titanium Dioxide). The formula contains, as a powder, silica powder. 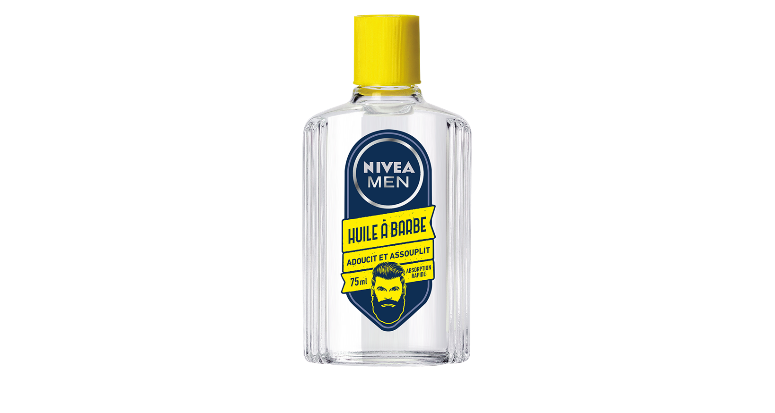 The formula does not contain “biological” active ingredient. However it can be said that the texture is “active”, as the blend of silicones, the silica powder and the pigments help to blur skin imperfections (wrinkles, irregularities). The formula being anhydrous, it does not need to be protected against microorganisms. AQUA / WATER ● DIMETHICONE ● GLYCERIN ● OCTYLDODECANOL ● METHYL METHACRYLATE CROSSPOLYMER ● ALCOHOL DENAT. ● DIMETHICONE CROSSPOLYMER ● VINYL DIMETHICONE/METHICONE SILSESQUIOXANE CROSSPOLYMER ● AMMONIUM POLYACRYLDIMETHYLTAURAMIDE / AMMONIUM POLYACRYLOYLDIMETHYL TAURATE ● BORON NITRIDE ● PEG-100 STEARATE ● STEARIC ACID ● CARBOMER ● GLYCERYL STEARATE ● GLYCINE SOJA PROTEIN / SOYBEAN PROTEIN ● TRIETHANOLAMINE ● SILICA SILYLATE ● PERLITE ● PALMITIC ACID ● ADENOSINE ● DISODIUM EDTA ● HYDROGENATED POLYISOBUTENE ● HYDROLYZED SOY PROTEIN ● CAPRYLOYL SALICYLIC ACID ● CAPRYLYL GLYCOL ● ACETYL TRIFLUOROMETHYLPHENYL VALYLGLYCINE ● FAEX EXTRACT / YEAST EXTRACT ● POLYSORBATE 60 ● CETYL ALCOHOL ● RETINYL PALMITATE ● POTASSIUM SORBATE ● SODIUM BENZOATE ● PHENOXYETHANOL ● CI 16035 / RED 40 ● LINALOOL ● GERANIOL ● ALPHA-ISOMETHYL IONONE ● COUMARIN ● LIMONENE ● HYDROXYISOHEXYL 3-CYCLOHEXENE CARBOXALDEHYDE ● CITRAL ● CITRONELLOL ● BENZYL ALCOHOL ● BENZYL SALICYLATE ● PARFUM / FRAGRANCE ● (F.I.L. : B163008/2). 782195/2 /DIMETHICONE ● DIMETHICONE CROSSPOLYMER ● SILICA [NANO] / SILICA ● ISODODECANE ● ALUMINUM HYDROXIDE ● DISODIUM STEAROYL GLUTAMATE ● CI 77491, CI 77492 / IRON OXIDES ● CI 77891 / TITANIUM DIOXIDE ● (F.I.L. :B162851/2).